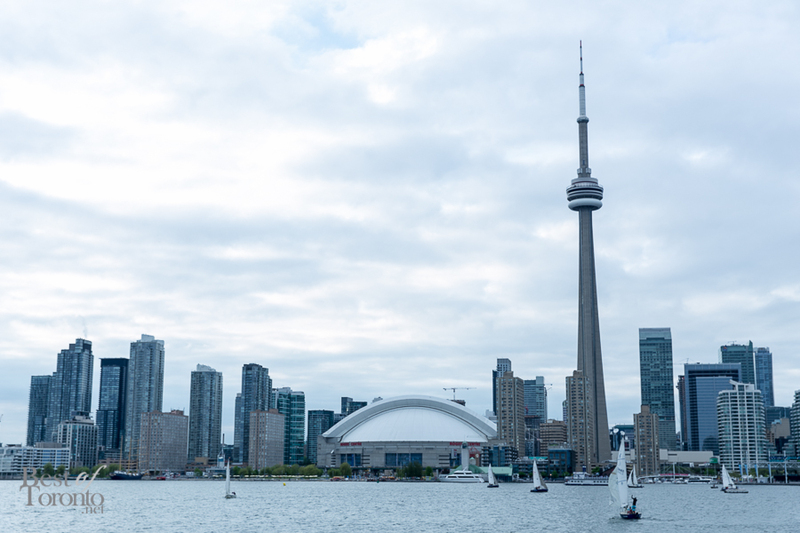 A breezy early summer evening brought us to the harbour front of Toronto. 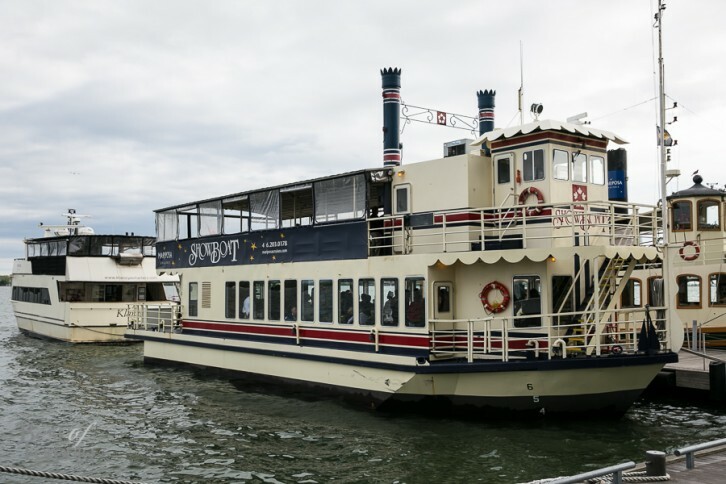 Docked at the bottom of Bay and Queens Quay, a modest sized ship dubbed the Showboat, one of the many ships of the award-winning Mariposa Cruises, was ready to set sail. Nick and I had the pleasure of boarding this vessel for a “Spring Fling” taking us along the perimeter of Toronto’s scenic Harbourfront and through the Island waterways. Reminiscent of the theatre showboat from the old south, this Showboat shows off its inspired charm with a similar exterior. The 74 feet long ship boasts seating for 149 passengers and crew. As we entered the boat, I couldn’t help but notice how warm and comfortable it was inside, sheltering us from the windy lakefront. As we checked out the canopy-covered upper deck, we ordered our first round of drinks from the friendly bartender at the bar. 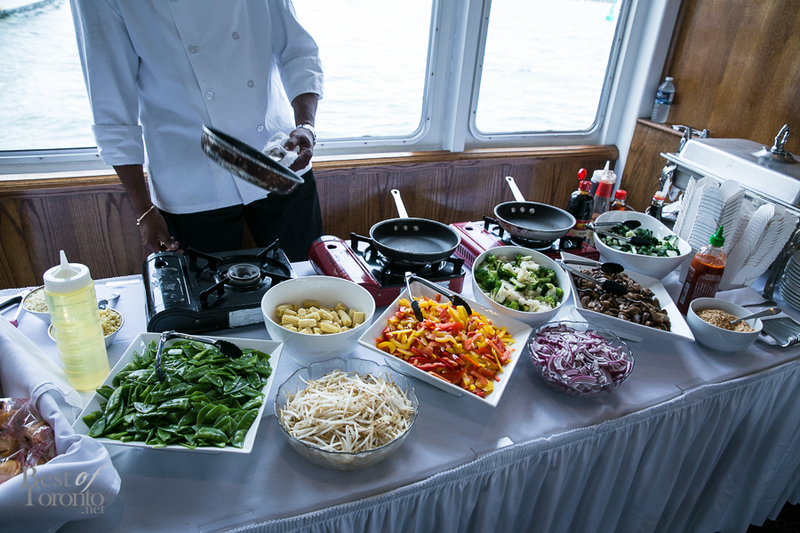 For our dining experience, the cruise offered several serving stations: make-it-on-the-spot taco and customized stir-fry stations, and also my favourite, a roast beef carving station. The food was excellent and so were the staff. Welcoming and helpful, the servers tirelessly kept pace with the demands of the patrons. Showboat even has a DJ who entertained us throughout dinner. The delectable bite size desserts were a nice touch to end the evening. Enjoying our spread, we sat along the tables that lined the main dining deck while taking in the picturesque view of this city’s skyline. Mariposa’s cruises offer flexibility and versatility. From various cocktail and buffet style menus to select, the tours are perfect for those private functions if you want to impress your colleagues or friends/families. Public cruises are also available from scenic dining excursions to harbour tours, complete with guides. A beautiful and laid-back way to enjoy your day or evening, this cruise is a definite way to go this summer.